I had to take a little break from making sweets, but not by choice. My pants told me they were getting a little too tight, and then the scale affirmed it. 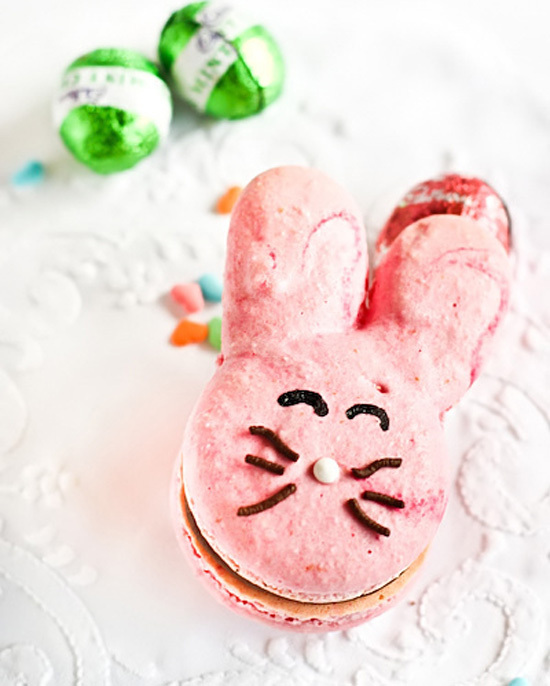 But have no fear, I found the perfect Easter treat over at Raspberri Cupcakes....Bunny Macarons! 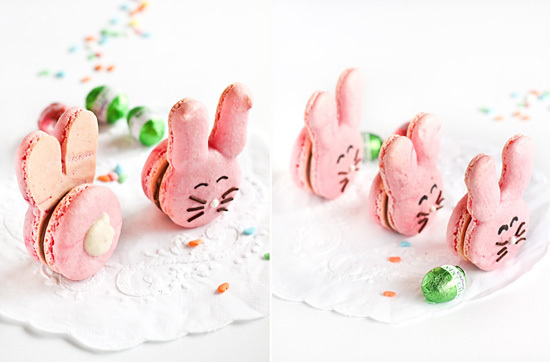 They are adorable, and look awfully tasty too! I love the little tail in the back, such a creative idea! I'm embarrassed to say that I have actually never tasted a macaron, but I have seen them all over the place, so I'm sure they must be good, right? I plan to make some very soon I will be sure to post them on the blog and I'll have a tutorial to share as well! For those of you who have tried them, what is your favorite flavor? Click RIGHT HERE to get the recipe and instructions for these little darlings, let me know if you try them out, and post it on my Facebook Page, I would love to see pictures! 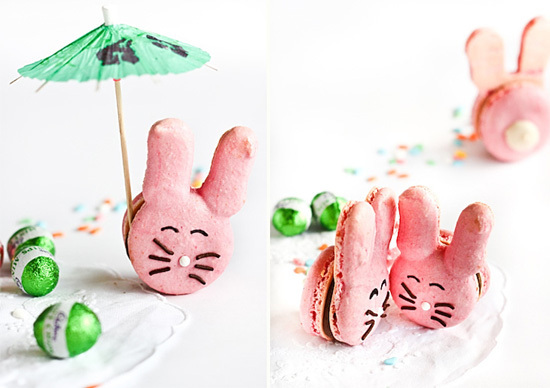 bunny macaroons!!! what a sweet idea! now i'm trying to think about what other adorable animals you could make macaroons out of.